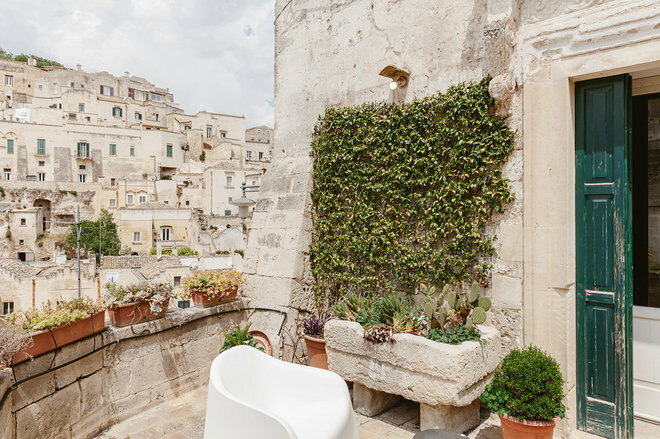 Brunella Guida’s house is in the historical center of Matera, Italy, which is known as Sassi, or rocks, to the locals. 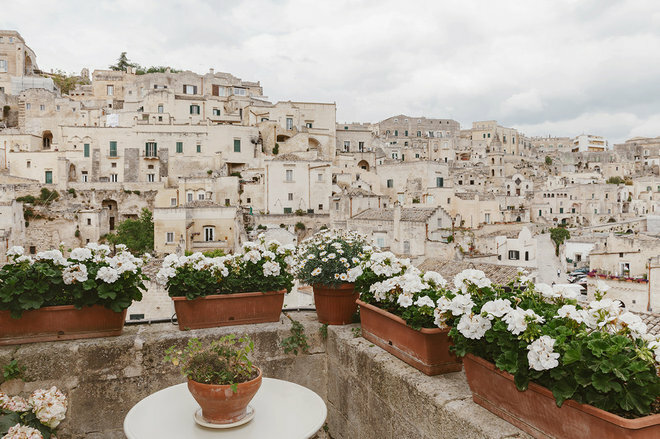 The Sassi di Matera was declared a UNESCO World Heritage Site in 1993 and will be a focus of attention when Matera becomes the European Capital of Culture in 2019. 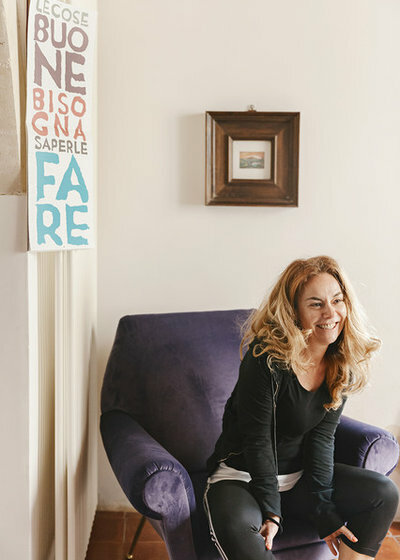 Guida bought her house in 1998 and worked passionately to renovate it over two years. With plenty of natural light and large spaces, it is a place she likes to come back to as often as she can. 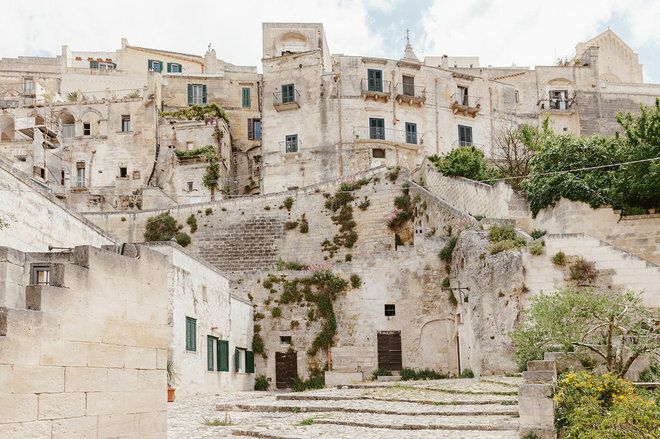 The houses in the Sassi di Matera were originally inexpensive, versatile and sustainable because they were dug into the rocks and built with local resources. Over time, they’ve been recovered and reutilized, sometimes in new ways. Guida’s house is a great example: It combines five housing units that were built about 1200 and renovated from 1998 to 2000. 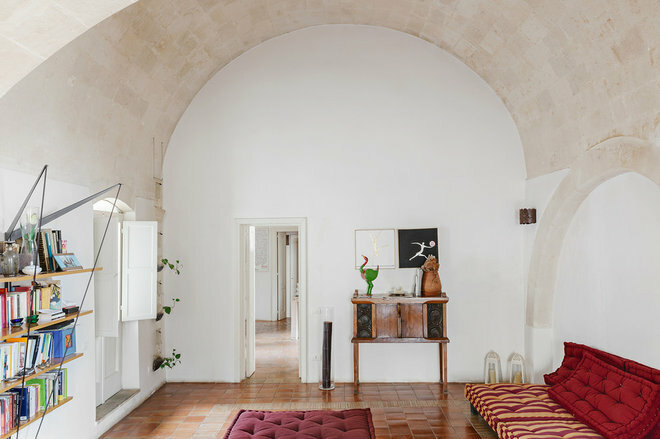 Renovating the house meant accepting the complexities that come with an 800-year-old structure and life in the Sassi di Matera. Although Guida hired a contractor, primarily to deal with the bureaucratic aspects of the renovation, she conceptualized, designed and carried out most of the project herself. She closed some windows, turned others into doors, and made new hydraulic and electric systems and a new bathroom. Guida loves an eclectic look that can’t be strictly defined. Her house isn’t rural, modern or traditional, but rather a mix of all three. Everything is rooted in her personal tastes and inspirations from her travels. Guida brought a lot from her previous house in Rome and bought few new things. More important, her own acquisitions are interspersed with presents from friends from all over the world. Her favorite space — which is also the one she uses the most — is the entrance hall, with its three sofas. She can keep an eye on everything in the house from this central position. During the renovation, Guida realized that a good lighting design was critical in this wide, high-vaulted space. 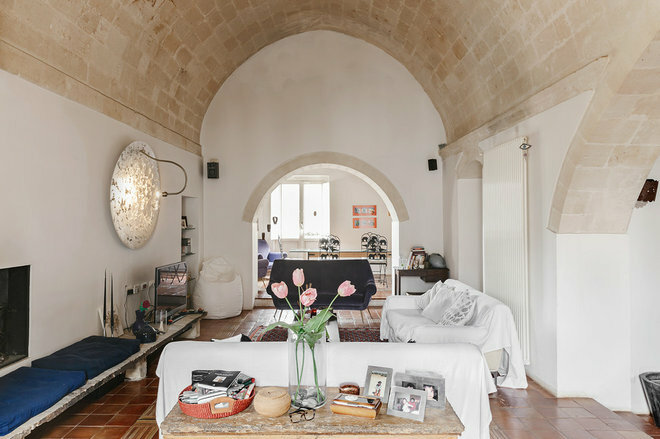 She consulted architect Alessandra Bia about installing sculptural lighting pieces, such as one in this room from Catellani & Smith(see the metal disk lamp on the left wall in the first photo). Neutral colors dominate in the interior. In the foreground, an old chest acquired at the Porta Portese flea market in Rome welcomes visitors. The flooring is refinished terra-cotta tile. The large living room is organized into three zones. In the first, there is a minimalist fireplace, which Guida uses often in winter. Along the wall, a shelf consisting of a gray-white stone tops bricks made of tuff (a rock formed of volcanic ash). One of the three sofas dates back to the 1960s. It belonged to her grandmother and was reupholstered in purple fabric. The same fabric was used on the two little armchairs in the dining room, next to a painting her father had bought, which holds a lot of sentimental value. In the center of the dining room is a table that was made by Riccardo Torchi, Guida’s ex-boyfriend. 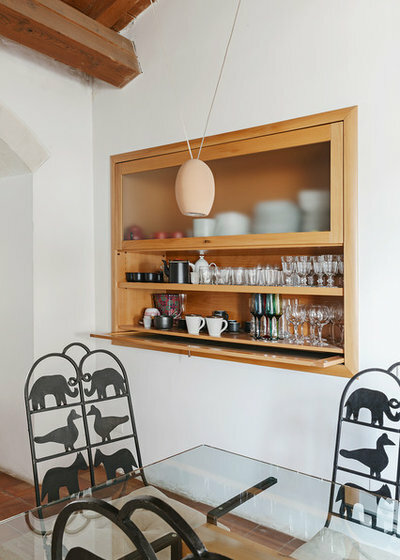 Indian chairs from Oltrefrontiera stand around the table, and terra-cotta pendant lights hang above it. A niche in the wall has cherry shelves and flip-up and pocket doors. It stores dinnerware. The big living room features a sofa for reading and chilling out. It also was made by Torchi, who loves DIY. 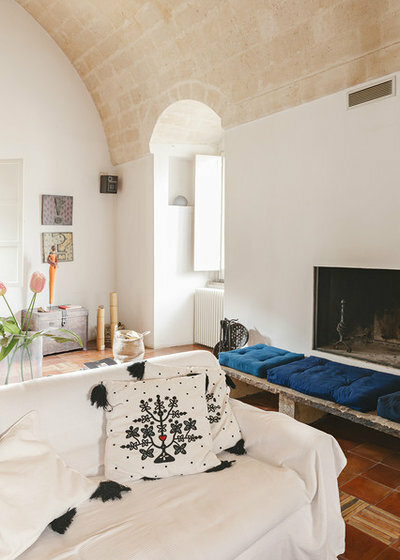 It is a simple piece with large cushions, which were handmade in Matera with fabric from Morocco, on top. There are metal lamps, also from Morocco, on the wall. A variety of heart- and angel-shaped items are scattered throughout the house. In this room, there is a truly rare piece of furniture that suits the theme: the Angelo Necessario (Necessary Angel) bookcase by Paolo Pallucco and Mireille Rivier. 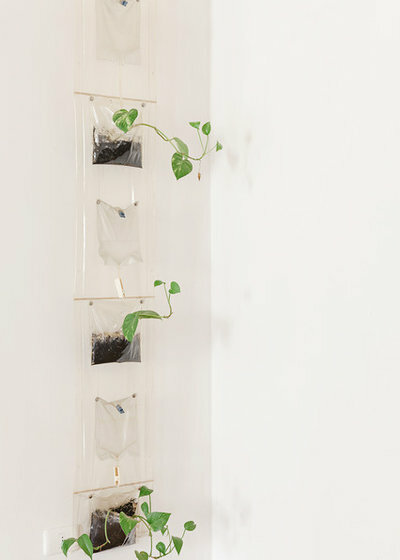 A vertical pocket planter hangs on the other side of the wall. 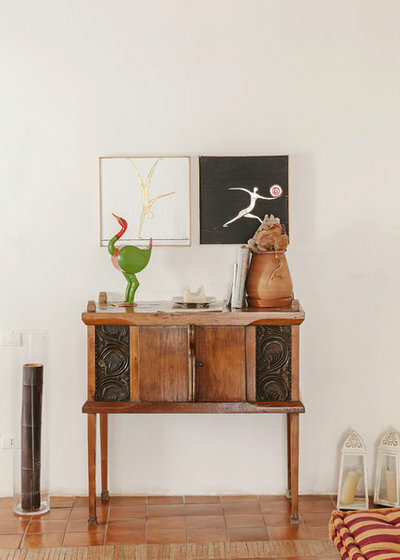 A Balinese sideboard holds an eclectic vignette. The two paintings above it, by a young artist from Altamura, Italy, represent balance and strength. Next to the sideboard, a door leads to Guida’s office (not pictured). From there, a hallway leads to the two bedrooms. 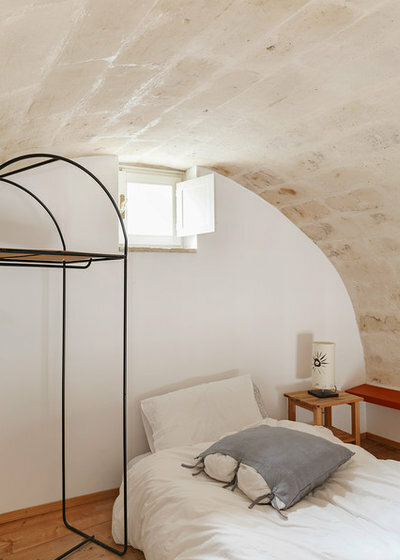 The one that once belonged to son Giorgio, who no longer lives with her, is now a guest space that includes a bedroom mezzanine. 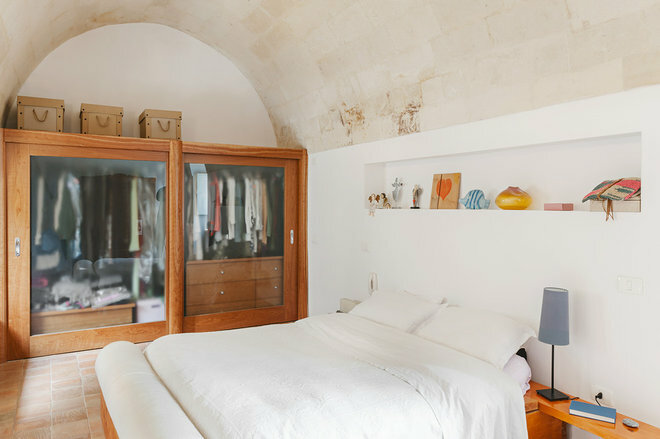 In this room, Guida has a custom wooden wall closet, a futon, an ottoman that can convert into a single or double bed and a small double bed. It is pure functionality with a touch of aesthetics. A beautiful floor lamp from Pallucco adds interest. The second bedroom is Guida’s. 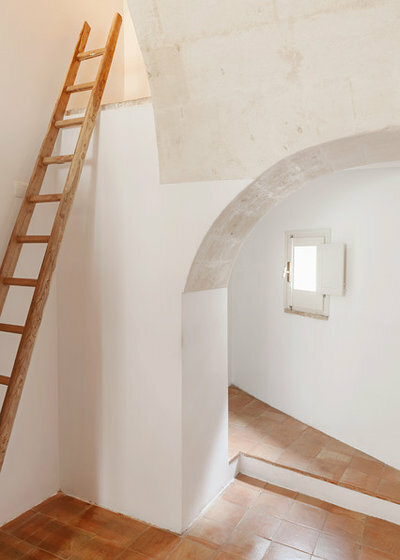 A ladder — the kind used for picking olives — leads to a small storage space. This room is the only one that is almost completely inside the cave, so it is really cool in summer. 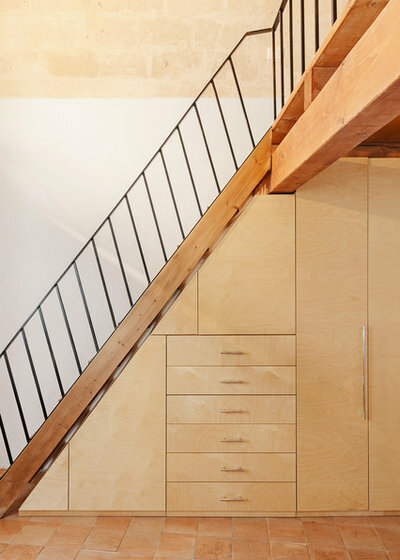 The large closet, also Torchi’s work, features sliding doors. The furniture in this room is on wheels. 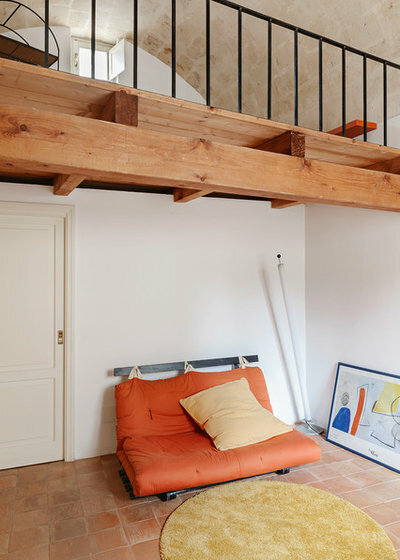 The bed is made from beams salvaged from a construction site, which were sanded and coated with a penetrating finish. There is a covered drawer underneath. The mattress, made of coconut leaves and cotton, is Japanese. The embroidered blanket belonged to her grandmother. The sheets are linen. Guida loves to blend different styles. 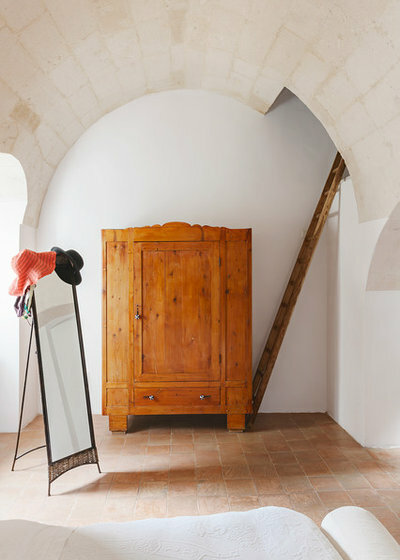 This armoire, which belonged to her grandmother, is an example: It was restored and decorated with vintage hardware she found in Formentera, Spain. There are windows throughout the house, with beautiful views of the Sassi di Matera and its system of courtyards. Two terraces decorated with plants and flowers embellish the house. Guida has an obsession: She buys miniature houses in countries she visits, to feel as if she has a house in every part of the world. 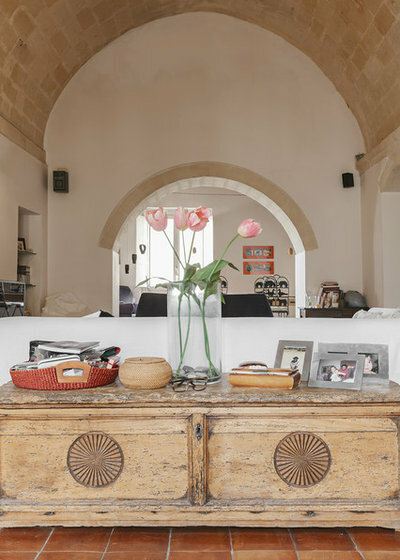 The love for other cultures and eclectic influences that plays out so charmingly in this decorative collection (shown below) lives large in the home she has painstakingly curated for herself amid the relics of 13th-century Italy. Article courtsey of Houzz.com. Click here for original article.